On the 3rd Tuesday of each month we meet at Town Tap by Conshohocken Brewing Co. (13 W Benedict Ave, Havertown) to discuss a new book. We read books across a variety of genres and welcome any newcomers! 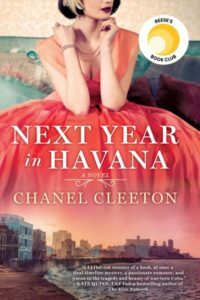 We will discuss Next Year in Havana by Chanel Cleeton. There are copies behind the Reference Desk that are available first come, first served. There are also a number of system copies available. Registration is requested by calling 610-446-3082 x201 or emailing reference@haverfordlibrary.org. Join us on Facebook to receive event reminders.